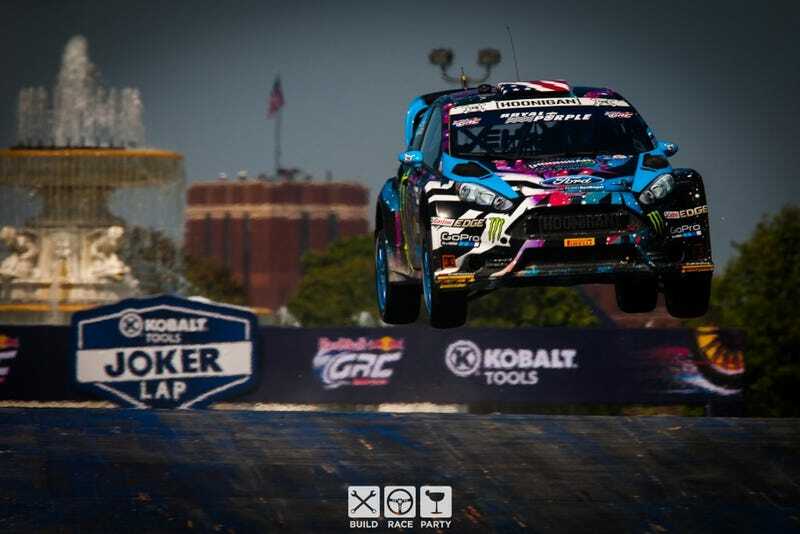 Last weekend the Red Bull Global Rallycross series headed to Detroit for two races on a specially created, .757-mile course on Belle Isle - the same place where the Indy cars race around that huge fountain. Ken Block took his record-setting sixth career victory on Saturday, and Patrik Sandell earned his first win of the year on Sunday. Josh Tons was there to take some pretty cool pictures and the whole gallery plus more detailed race results can be found on Build Race Party at the link below.